Just when you thought the first taste of Doctor Strange’s debut solo outing was looking weird enough, it seems that Marvel are keeping their secrets hidden, and the film itself will raise the crazy bar even further… it’s gonna be trip, dude. Speaking to The Sunday Service podcast, the film’s screenwriter Robert C Cargill has said that what we’ve seen so far in the first teaser trailer is actually very little. It is now being speculated that Marvel have intentionally played down the crazy level in this first trailer, so as to not take away from Captain America: Civil War, which will no doubt have the trailer attached to it. And could we maybe see the good doctor making a special cameo appearance somewhere in Cap’s third outing? Time will tell, but it would get us all very excited if we were to get the first glimpse of Benedict Cumberbatch in the MCU in one of the now infamous post credit stings. 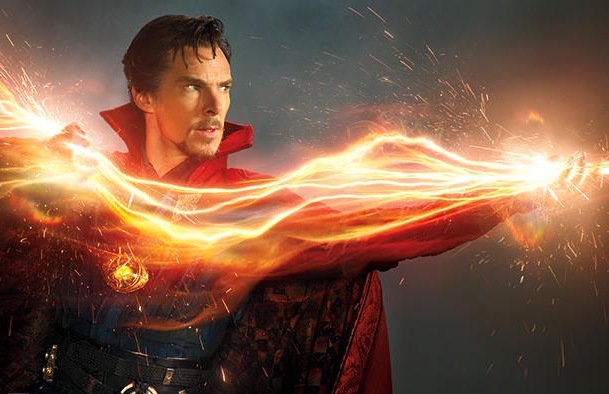 Doctor Strange will be conjured into cinemas on the 4th November.